Yair Rodriguez is facing a potential 180-day layoff following his memorable battle with Chan Sung Jung at UFC Fight Night 139 in Denver. Ultimate Fighting Championship President Dana White will be meeting up with UFC middleweight contender Israel Adesanya during his time down under to discuss a potential future title fight in the 185-pound division. A few years back, there was some serious heat for a possible bout between Donald Cerrone and Conor McGregor. Now, Cerrone is hinting that the matchup could come to fruition. “Khabib wins but this is his closest fight ever because you don’t just control Georges St-Pierre,” concluded Cormier. “But you’re asking me a loaded question because I’m never gonna say Khabib’s gonna lose. He does think it’s the fight to make, though it will leave poor Tony Ferguson out in the cold. 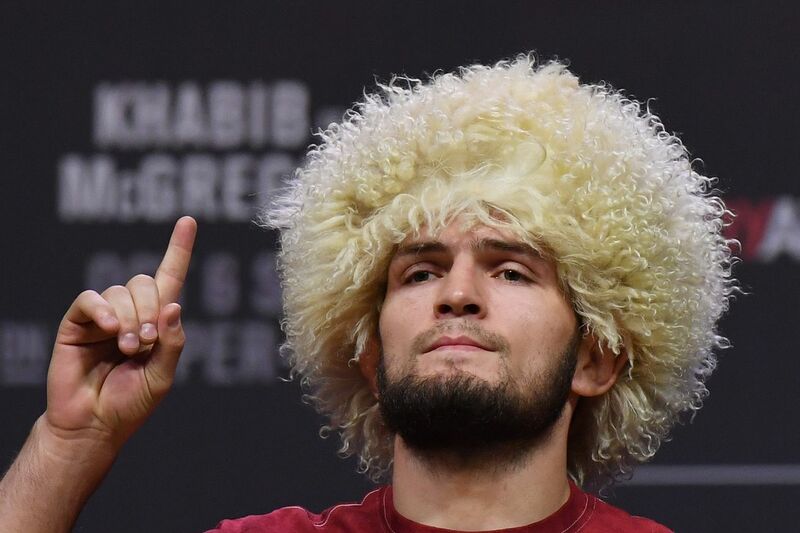 He also floated the ever-popular idea (at least to fighters lately) of fighting at 165, and said it is a big enough fight that it doesn’t require a belt on the line to make it compelling. That could bypass Dana White’s concern trolling that GSP would need to prove himself as a lightweight contender before getting a title shot. The prospect of deciding potentially the greatest MMA grappler in history is an intriguing one. Of course, the UFC’s new signing, Ben Askren, also wants a piece of that action. You can’t admire the remarkable personal problems without running into the remarkable career. Tony Ferguson vs. Khabib Nurmagomedov fan art- let us hope we do eventually see this cursed fight happen- fifth time’s the charm! Claressa Shields, Cyborg’s training partner, doing work in the ring. Watch @TheBeast_UFC with Derrick Lewis! When is the UFC making an official announcement on signing Ben Askren? Are they waiting to iron out contract details? 1. Is there a fighter who you believe would beat a prime Jones Jr? 2. What’s your Jones Jr fantasy fight? Halloween is coming up and this costume is really the perfect one for collecting candy. I never celebrated Halloween. My parents were those buzzkills who turned off all the lights and then served apples to kids who still rang the doorbell. It’s been quite some time since Marvin Vettori has stepped into the Octagon, and there is a reason for that.